The D3 was a low-gain dynamic instrument microphone intended for high SPL applications, such as guitar cabinet, brass instruments, and percussion. Like all the mics in Audix’ D-series, the body was milled from a solid block of aluminum, and incorporated a VLM (Very Low Mass) diaphragm within its moving-coil cartridge. Further, all the D mics use AlNiCo magnets. The D Series microphones employ exclusive Sub-Impulse Technology designed specifically to achieve the true 3-dimensional sound of instruments. Sub-Impulse Technology builds on the principles of the VLM diaphragm design to accurately pick up the subtle nuances of sub-impulse harmonics. These harmonics contribute substantially to the richness of the sound. The D3 had lower sensitivity than other D-series microphones: 0.9mV/Pa. The D1, D2, and D4 were rated over 2mV/Pa. 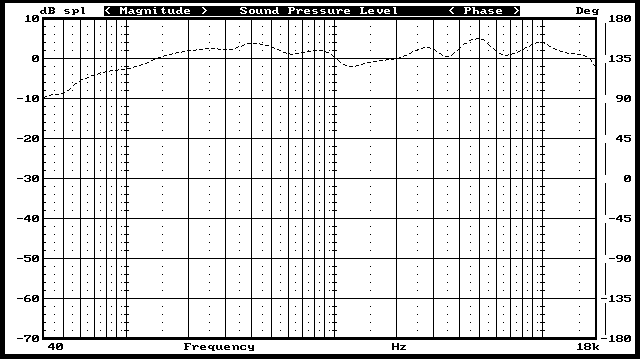 The published frequency-response graph for the D3 shows a mid-frequency boost from 200–500Hz, with a series of presence peaks at 2750Hz, 5kHz, and 10kHz. NHRA is currently using the D3 to mic the sound of dragsters from inside the cockpit on the live cams for live broadcast during the races. They have measured the SPL level of over 160 dB inside the cockpits! Not only that, but between the speed of the cars, the fumes from the engine, the exhaust from other cars, and the dust from the wheels, these microphones are being subjected to more “torture tests” than could ever be created in a simulated test environment. Ryan Danger and Bruce Wendel of Diversified Audio in Tampa, Florida did the installations of the D3 mics. According to Ryan Danger, who started supplying the D3’s to the NHRA, “there has never been a microphone that has lasted more than one race until the D3”. The D3’s have survived a full season of these torturous races with only 2 mishaps, one of which was fatal. One time the D3 dislodged from the car and was dragged by it’s cable for the final part of the race. It still worked afterwards. The other time, the D3 fell off the car and actually exploded upon impact after hitting the track. Imagine the forces at work to explode a solid piece of machined aluminum into pieces! The D1, D2, D3, and D4 microphones shared a case and grille design; the only visual difference, besides the embossed model number, was the color of the inner screen behind the black grille. On the D3, the inner mesh was gold. The D3, I was quick to find out, is perfectly suited for electric guitar amps. It has a response and sensitivity similar to the OM-7 vocal mic, and it is really happy with a screaming Marshall stack or Fender Twin… While many popular choices for electric guitar miking leave a little of their own tonal coloring, the D3 tends to let the true sound of the rig ring out.